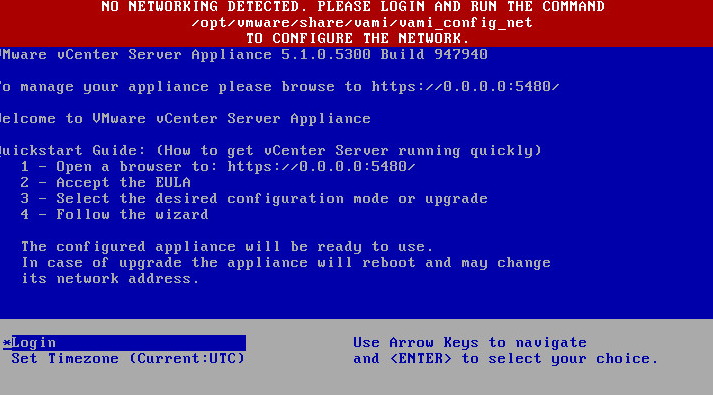 you will notice the network configuration wizard for the virtual appliance is not available as you would expect when deploying to a vCenter Server. The reason for this is that ESXi does not support some of the advanced OVF/OVA properties such as the Networking section and you will need to deploy the OVF/OVA to a vCenter Server to be able to configure these advanced options. This poses a problem if you need to deploy the VCSA in a greenfield environment where you will not have an existing vCenter Server running and you will be deploying directly to the ESXi host. 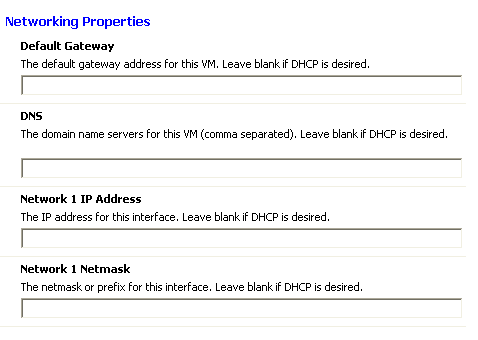 Unless you have a DHCP enabled network, you will most likely need to manually go into the vSphere C# Client to change the network configuration as it was unable to obtain an IP Address. Though this is a one time configuration, it is still not ideal and would require the use of a Windows system to access the vSphere C# Client. You can actually get around this by leveraging the GuestOperations API (previously known as VIX API) which allows you to perform operations within the guestOS that is running VMware Tools. The other nice thing about the GuestOperations API is that it does not require any network connectivity from the virtual machine. Note: The GuestOperations API can be accessed in variety of ways and in this article I am demonstrating just two methods and does not require a Windows system. You can also access the GuestOperations API using PowerCLI if you are more comfortable with Windows and do not wish to use the vSphere C# Client to manually configure the network settings for the VCSA. I would also like to stress that though this article is about the VCSA, you can easily apply this to any VMware based virtual appliance or virtual appliance running VMware Tools. /opt/vmware/share/vami/vami_set_network "eth0 STATICV4 192.168.1.150 255.255.255.0 192.168.1.1"
RVC is a nice open-source tool for interactively managing and configuring your vSphere infrastructure. RVC can be installed on any platform, in this example, I am running RVC on my Apple OS X laptop. Step 1 - We first need to deploy the VCSA OVA and we can do so by using the ovftool via the command-line which can also be installed on Mac OS X system. Step 2 - We then login to our ESXi host using RVC. 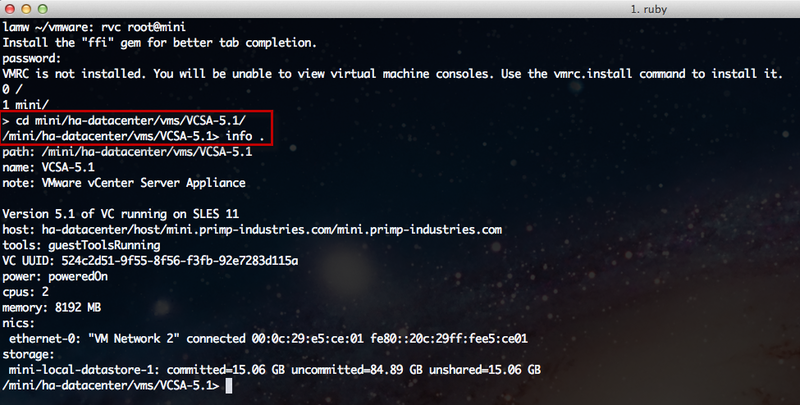 Step 3 - Next we will need to "change directory" to the location of our VM, in this example my VCSA is called VCSA-5.1. We can then run the "info ." command to view the summary of our VM. We can see that our VM is powered on from our initial deployment and we are ready to apply our network configurations in the next step. vm_guest.start_program . --program-path /opt/vmware/share/vami/vami_set_network --arguments "eth0 STATICV4 192.168.1.150 255.255.255.0 192.168.1.1"
Note: All commands in RVC can be tabbed out with auto-completion. If the command was successful, you can quit RVC and you should be able to ping the IP Address that you have just configured. Awhile back I wrote a script called guestOperations.pl which is a vSphere SDK for Perl script that implements the new GuestOperations API. This is a generic script which can be used to remotely connect to either a vCenter Server or ESXi host and perform operations within a guestOS as long as VMware Tools is installed and running. In this example, I also have the vSphere SDK for Perl installed on my Mac OS X laptop, but you can also install this SDK on any platform as well. Step 1 - We will first use the "validate" operation to ensure our credentials to the guestOS is correct, but more importantly ensure that VMware Tools is up and running. If the operation was successful, we should see our guest credentials validated. If not, you may need to wait a minute or two while VMware Tools is still loading up. If the command was successful, then you should now be able to ping the IP Address that you have just configured. As you can see, with the use of the GuestOperations API, you can do more than just setup the network configuration for a VM, you can run pretty much any command within the guestOS as you normally would if you were to RDP or SSH in. This is a very powerful interface that you can leverage to help you automate your virtual machine deployment and configurations! Hey William, great information, thanks! FYI, looks like the “.” is missing after vm_guest.start_program (though it is shown in the image). That was nice article. 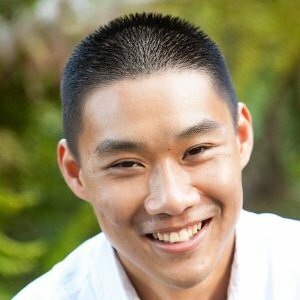 Where to get vami_set_network? I do not have installed on my linux machine, but we have /opt/vmware-vsphere-cli-distrib/ installed.